We’ve met an aggressive schedule of general maintenance and prep work. Here’s a list of accomplishments so far. Abatement of rust on the majority of the car body, to include a quick paint over the primer coated areas and front pilot. 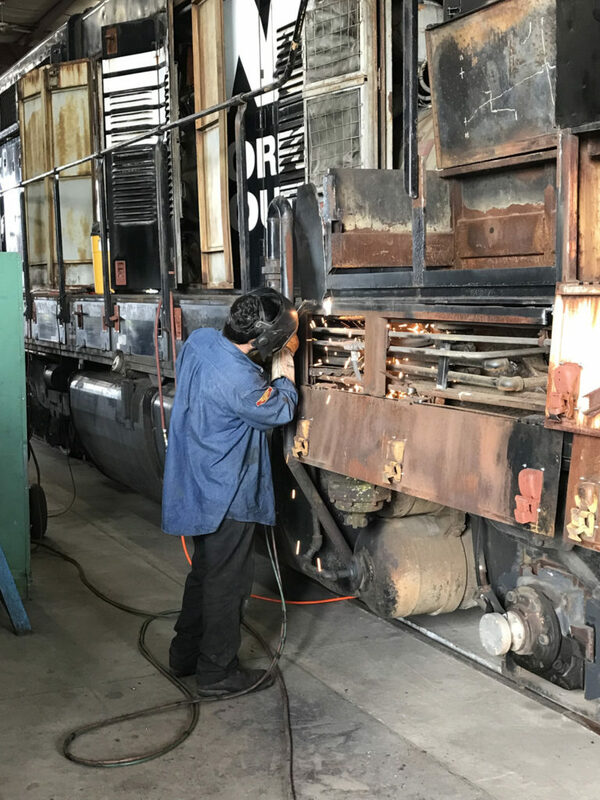 A complete mechanical and electrical assessment completed, which revealed that the locomotive is in much better condition than originally thought. 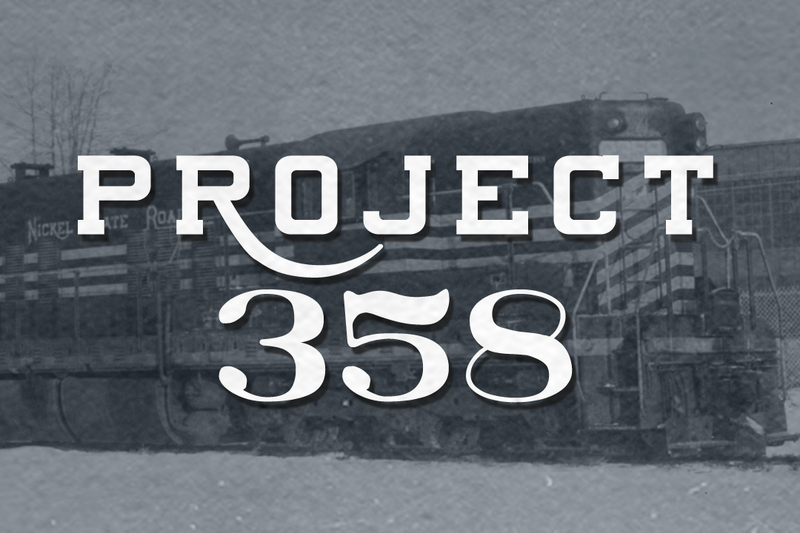 Reducing the restoration budget from $100,000 down to $35,000. 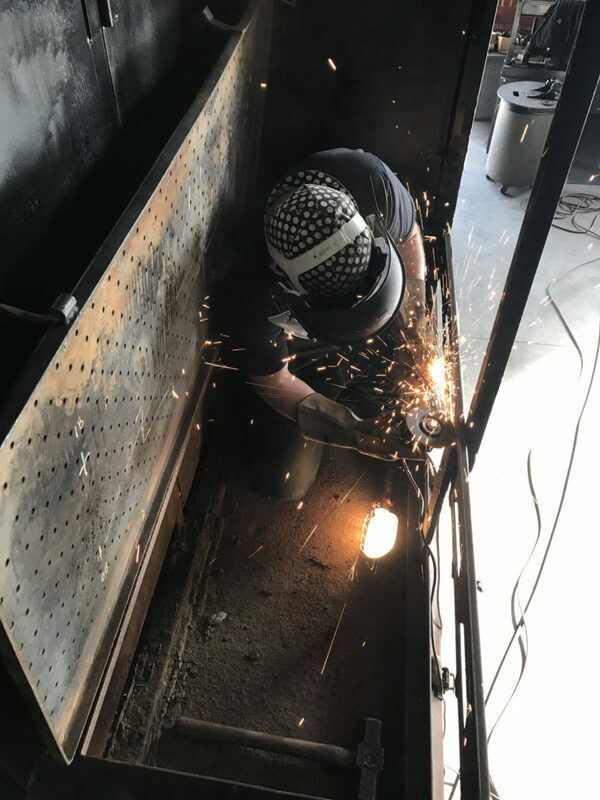 Numerous hours of scraping, chipping, needle scaling, vacuuming several hundred pounds of rust, dirt and other debris from the side sills, under the cab, electrical cabinet area, short hood, prime mover, and sub frame areas (we’ve got a bit more to do). With funds from donations, purchased a set of 4 classification lights that will be reinstalled on the car body. Had a bell donated to the project. Car body work to include door latches, straightening of doors, and work to the engineer’s side battery box. Work for the fireman’s side battery box will be next. Traced out several electrical circuits and began to identify those that will need to be re-wired in the short term. Completed number boards and lit them up! Had a MARS light donated, non-functional at the moment, but we’ll figure it out. Had a cooling fan donated to the project. Pretty successful year so far with T-shirt and Glassware sales. 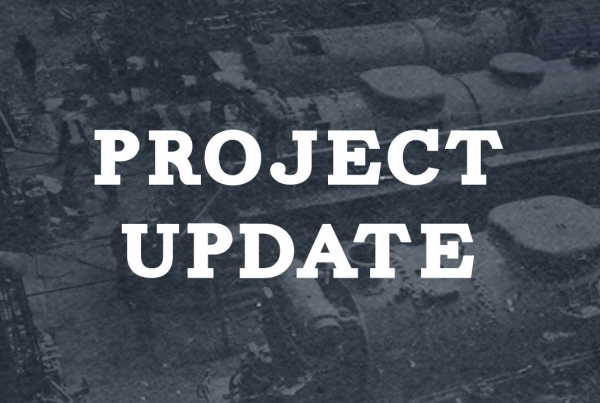 Additional car body work, to finish the battery boxes, and other repairs on the car body needed; cab, fireman’s long hood walkway, sill box doors short hood fireman’s side, install the class lights. Some additional needle work and vacuuming to take place, deeper into the frame and a few other places to be reworked. Repair the sub-frame fireman’s side short hood. Replace air piping that was removed.